From all appearances, singer Mandisa had it all. The finalist from Season 5 of "American Idol" had a Grammy Award, sold more than a million records and established herself as a force in the Christian music industry. Then she disappeared for two years. Overcome by depression resulting from the death of a beloved friend, she closed herself off from the world, rarely left home and fed her dark mood with comfort food that caused a 200-pound weight gain. But through the perseverance of friends who refused to let her push them away, she has returned to the stage and is now touring with fellow "Idol" alum Danny Gokey, whom "Idol" fans will remember made it to the top three on Season 8. Their "Rise Out of the Dark Tour" stops at the Tivoli Theatre on Sunday night, Oct. 29. Both have new albums out: Mandisa's "Out of the Dark," her first new album in four years; and Gokey's "Rise." Opening for them will be Jasmine Murray, another "Idol" alum, and Love and the Outcome. 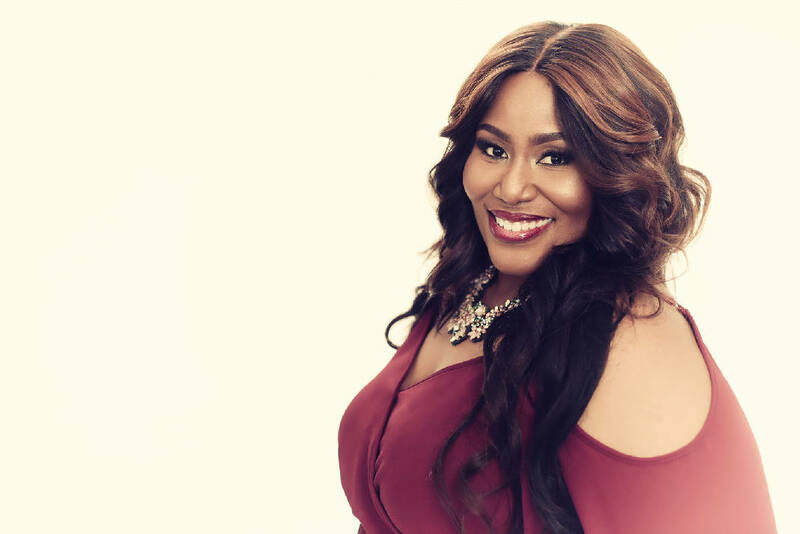 Mandisa says her depression began in the aftermath of "Overcomers," her 2013 album that won a Grammy for Best Contemporary Christian Music Album, reached No. 1 on Billboard's Christian Albums chart and whose title track was No. 1 for 12 weeks. "'Overcomers,' particularly the single, was inspired by my friend, Kisha (Mitchell), who was diagnosed with breast cancer while pregnant. Kisha had one year with her son before she died. I really believed God was going to heal her. But when he healed her in heaven, and not on Earth like I wanted, it sent me into depression." The singer says that from 2014 to 2016 she hardly left her house. "I was hungry all the time, lonely, angry at God, feeling hopeless. I had lost 125 pounds, but as I sat in my house and binge-ate, I gained that plus 75 more pounds. It was the hardest season of my life," she describes. "I was ignoring everyone and hadn't left the house in months when I finally decided to go see 'War Room.' If I'm honest, it's because I wanted to hear my song ("Press On") in the movie," she says, chuckling. When she exited the theater, she found her car covered in sticky notes. Written on each sticky note was "I love you" or some uplifting, positive thought about the singer and what she meant to her friends. "A handful of my friends had been camped outside that movie theater. They forced me to get counseling and deal with my grief. My friends reached out and said, 'We love you just as you are, but we don't want to leave you there.'" Through counseling, prayer and encouragement of friends and preachers, she says she has changed her life and intends to use the experience to help others. At each tour stop, she and Gokey, who she later learned also dealt with depression, will talk about depression, how they rose out of that darkness, signs of depression and ways friends can help loved ones. "I can honestly say I think God will raise some people out of the dark through what Danny and I share in testimony and song," says Mandisa.